Ever since I was a little girl, I’ve always loved nail polish (much to my mom’s dismay when I would spill it all over the place). 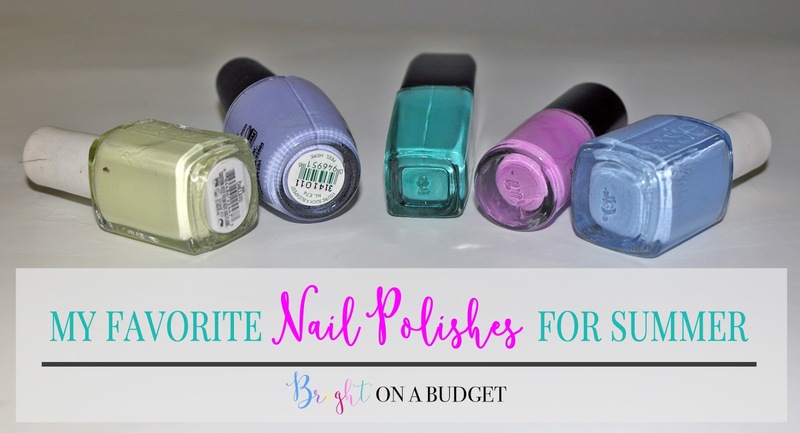 I like to change my nail polish up based on the seasons, so I though I’d share my favorite nail polish colors for summer. 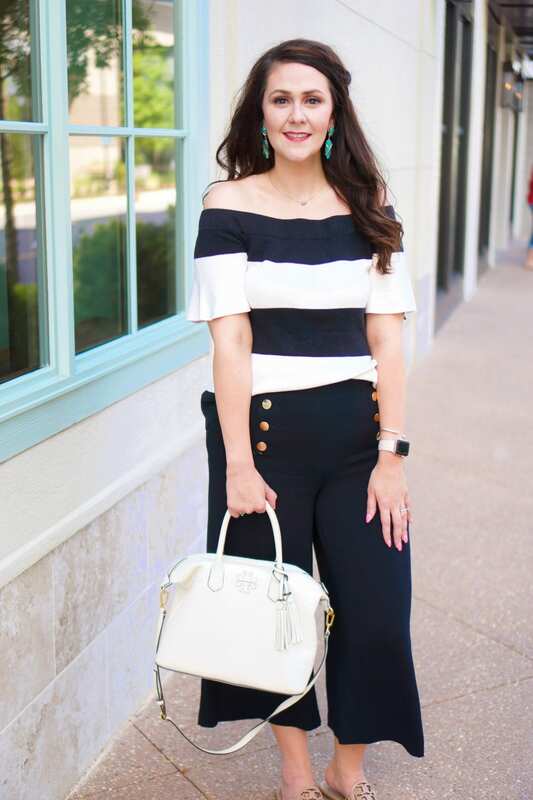 These colors have shown up in my wardrobe, in my accessories, and even in my new blog design! This shade is describe on Essie’s website as “frozen cream pistachio.” It’s a lovely light yellow shade that has a slight green tint but heavy cream undertones. This is your color is you want a neutral shade with a twist. Not only one of my favorite summer colors, but one of my all-time favorite colors! For those of you who love the blue of Lapiz of Luxury or Bikini So Teeny, this is a similar shade with more of a pastel purple tint (I have all 3 shades in my collection). In my mind, there’s no other shade that screams summer more than Dive In. I scored this for less than $1.50 on clearance at Target. It’s very similar to Essie’s Naughty Nautical but without the shimmer or the price tag. I’m wearing this coloraddi type this post. I had been looking for the perfect shade of lilac nail polish, and picked this one up on a whim. It’s perfect! This shade is good if your like a lighter nail color but are tired of your basic light pinks. Lighter shades of blue are my favorite, and this shade is no exception. Essie describes this as “a sparking, cornflower blue.” How many of you loved coloring with the Cornflower colored crayon from Crayola??? Maybe that’s part of why I love this nail polish so much. It’s slightly lighter in tone than Lapiz of Luxury and has a subtle shimmer to it. If you want to know how to do a manicure that looks like you’ve just been to the salon, click here. 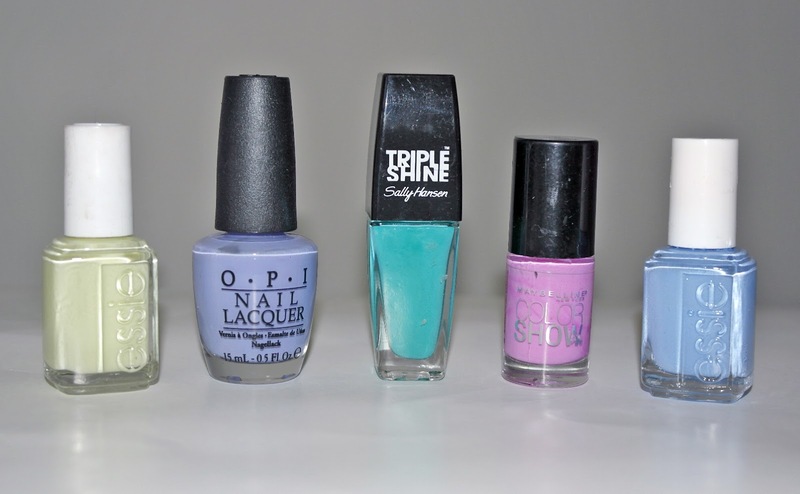 What colors are gracing your nails this summer? I’m always up for trying new shades! I promise, fashion posts are returning next week:) It’s just been too rainy out to shoot any posts. Speaking of the rain, for those of you that pray, please keep eastern Kentucky in your prayers as the region has suffered devastating flooding this week.